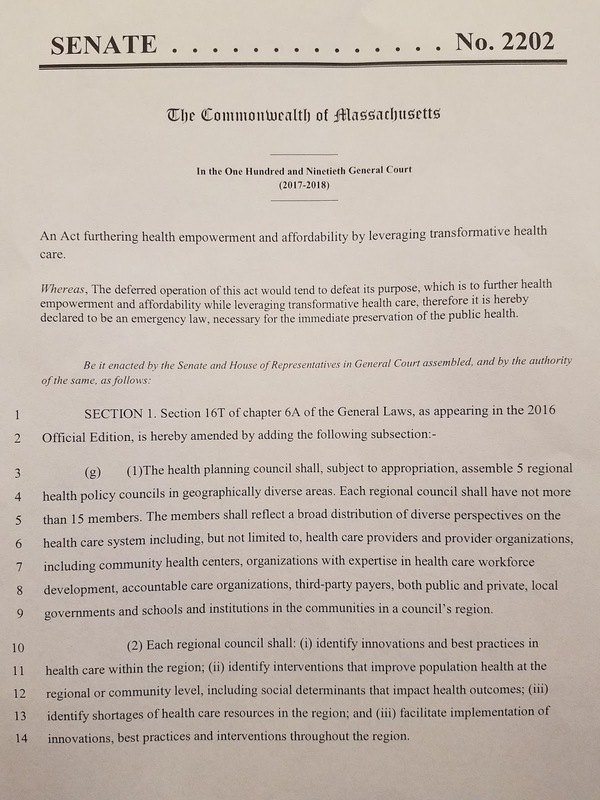 On Wednesday, November 8th, the Massachusetts Senate will begin debating major health care legislation, S. 2202, “An Act furthering health empowerment and affordability by leveraging transformative health care.” You can read the bill at https://malegislature.gov/Bills/190/S2202, and a summary as produced by the Massachusetts Tax Payers Foundation at https://www.masstaxpayers.org/publications/public_finance/budget/20171025/section_section_summary_senate_health_act. The deadline for filing amendments to this bill is Monday, November 6th at 5pm, and I anticipate that many of them will be filed. 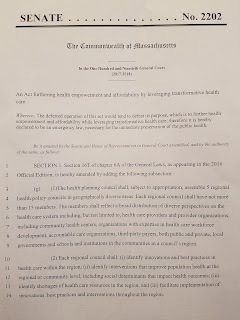 Please contact me with any questions or thoughts about this legislation.